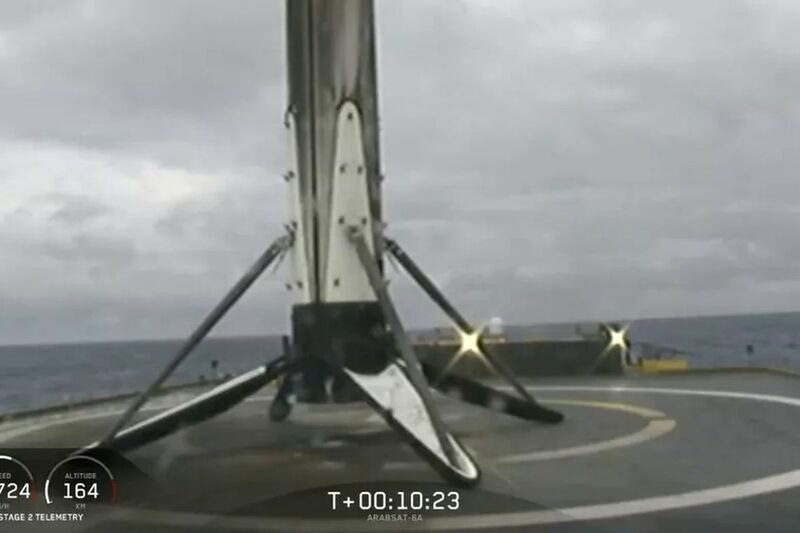 Whenever SpaceX launches the Falcon Heavy, at least one booster does need to land on a drone ship, as the company only has two concrete landing pads at the Cape. The center core is usually the best candidate for an ocean landing, as it travels farther into space than the outer boosters. That eats up fuel needed to return to Earth and land. Plus, landing on solid ground requires more fuel than targeting the drone ship, which can position itself downrange of a returning booster, like an outfielder fielding a fly ball. SpaceX has another Falcon Heavy mission coming up sometime this summer in Florida, one that will use an entirely new center core and the two outer cores that landed last week. The company plans to use the octagrabber during the mission, so there is some time to do updates so the robot can hold onto the center core. And perhaps calmer seas will be more conducive to transporting rockets. Updated April 16th, 10:00AM ET: This article was updated to include more information from Elon Musk, as well as clarify how SpaceX lands its rockets.